Now, starting from the base of the stem draw a parallel line that slowly converges at the top of the stem as shown below. Drawing the Leaf With your pencil, draw a curved triangle jetting out form the corner of your stem as shown below. 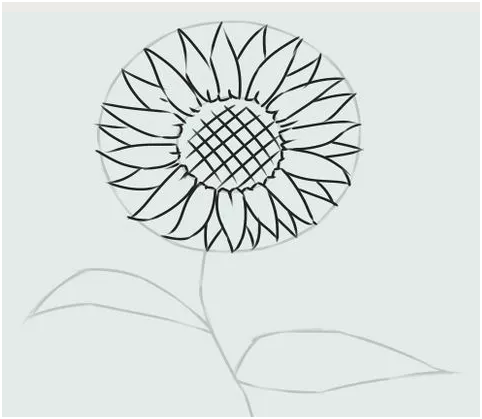 Begin by making a small circle for the base of the bloom then draw in the line for the stem. 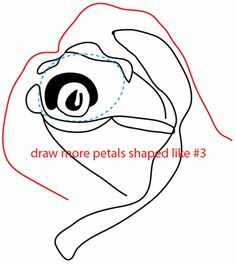 Draw in the flower stems. Draw in three tiny, pointed leaves at the bottom of the rosebud. For the lilies of the valley, give each bell shape a scalloped bottom. To start with, we are going to divide our flower into three parts — stem, leaves, and petals. Start with the stem by drawing a few small lines from the ground up.